Seeme & Liz > Parenting Tips (0-2 year olds) > What Is Motherese? To Baby Talk or Not? Some people seem to be familiar with this term while others have never heard of it. To me it sounds a bit formal. However, it simply means “baby talk”. Motherese brings with it the idea that it is something that only mothers do. Whereas baby talk is more gender neutral. In our politically correct society many now prefer the term parentese to motherese. Most child development experts use the term child-directed speech or infant-directed speech. using made up words. 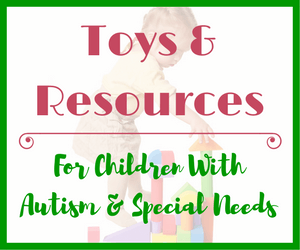 Some common ones include: tata (give me), boo-boo (wound, hurt), moo moo (cow), potty (toilet), num num (eat), soosie, paci, binkie (soother/pacifier) etc. for a full definition and history of motherese and baby talk, click here. To sum up, motherese is how most parents communicate with their babies and often toddlers (and sometimes even preschoolers). Whichever term you decide to use, remember that they all refer to a pattern of speech consisting of the points I mentioned above. For the remainder of this post I will use the term baby talk. The Question Remains, Should Parents Stop With The Baby Talk? The answer is a bit of yes and a bit of no. 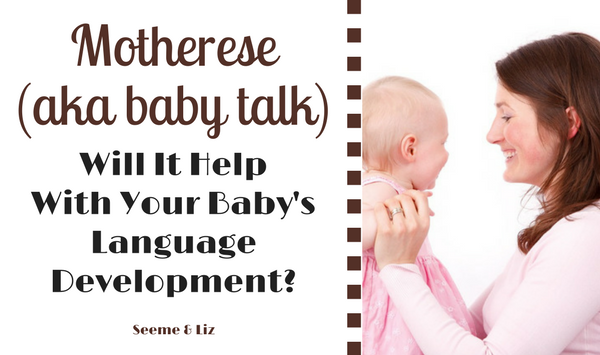 There are aspects to baby talk that you should stop, from a speech development perspective. However, it may be easier said than done for some parents. The term baby talk first appeared in the Oxford English Dictionary in 1836, so it has been around for a long time. It is probably something your parent’s did with you and their parent’s did with them; thus, making it hard to stop the pattern. Plus, it is also common to see parents and caregivers talking to their little ones in this way on TV shows and movies. I will start with the positive aspects of baby talk and then I will move on to the more negative aspects. Babies are hearing new sounds everyday. The pitch variation and slow drawn out sounds of baby talk holds the attention of babies/toddlers. They are fascinated by this intonation. It can also give them clues about the meaning of a sentence as a baby won’t be able to understand all words right away. When using baby talk, certain sounds are exaggerated more than others allowing babies to start differentiating between sounds. It also makes it easier for a baby to determine where one word ends and another begins. Some researchers believe that babies whose parents used baby talk have larger vocabularies as toddlers. Also, when babies first learn to speak, their words and even sounds are not clear. This is not because they were exposed to baby talk, it is because they physically are unable to produce certain sounds because the muscles of the mouth, tongue, throat, etc are not fully developed. Babies naturally coo in attempts to communicate. This often gets parents to reciprocate with baby talk. Even when a parent coos back in complete gibberish, the baby is taking it all in. It is also teaching the baby the give and take aspects of a conversation. Babies are smart and are ready to communicate before they are physically able to! 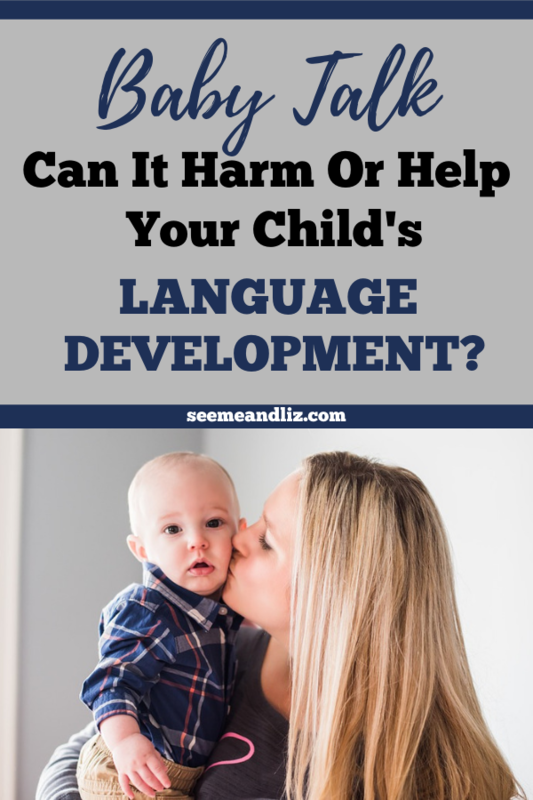 With all of that being said there are some things that I (and I am sure most child development experts would agree) believe aren’t great about baby talk. Baby talk is fine if your child is a baby (not a toddler or a preschooler). To me a baby is under 12 months of age. A baby actually understands a lot more than he is given credit for. Studies have shown that when babies around 6 months of age are given a card with 4 pictures on it and the word for one of these pictures is spoken, the baby will look longer at the picture matching the spoken word than any of the other pictures on the card. Because babies understand more than adults often think, it makes sense to talk to them the way you would talk to an older child or adult. You can still use some more exaggerated inflection and intonation to keep their attention but you do not need to use sentences like “did baby go poopy?”, why not say “did you poop?” instead. Your goal should be to model appropriate vocabulary and grammar to your child, especially as your child gets older. Start using real words as soon as possible. Try to cut out true made up words like “num num”, “tata”, etc. Saying words like “uh oh” or “doggy” are fine. The more real words your child hears, the larger his vocabulary will be. Also, refrain from speaking in the 3rd person. This one is probably my biggest pet peeve when it comes to baby talk. Yes, I did it when my kids were babies, but only until they were about 6 months old. After that I felt comfortable in assuming that they knew who I was. I have been in Kindergarten classrooms where the teacher is still speaking in 3rd person. I used to cringe when I walked in to the classroom to get the student I was seeing for a therapy session and I would hear the teacher (Mrs. Smith for example) say something like “Mrs. Smith wants everyone to go sit on the carpet”. Meanwhile the child I am working with for speech therapy has a goal of “to correctly use the pronouns I, me and my in sentences”, for example. You can see how hard it is for a child to learn the correct use of pronouns when he is not hearing it used correctly by adults. Think about it, would you say to your friend “Mary wants to go out for lunch, would Beth like to join Mary?”. I doubt it. You would say “I want to go out for lunch, would you like to join me?”. Small children, including babies will learn to understand when you speak to them the way you would speak to others. While on the topic of baby talk, I want to mention something called telegraphic speech. Back when I was in school we were taught to use telegraphic speech, especially when working with children with a language delay. Telegraphic speech is when grammar is omitted from a sentence. For example “Where did your ball go?” vs. “where ball go?”. However, researcher Marc Fey* and others have found that using telegraphic speech may actually hinder a child’s language development, especially if the child has a language delay. A child needs to hear correct grammar in order for them to use it. This makes so much sense. Children are little sponges and tend to repeat exactly what they hear! Should I Stop The Baby Talk? No you should not! 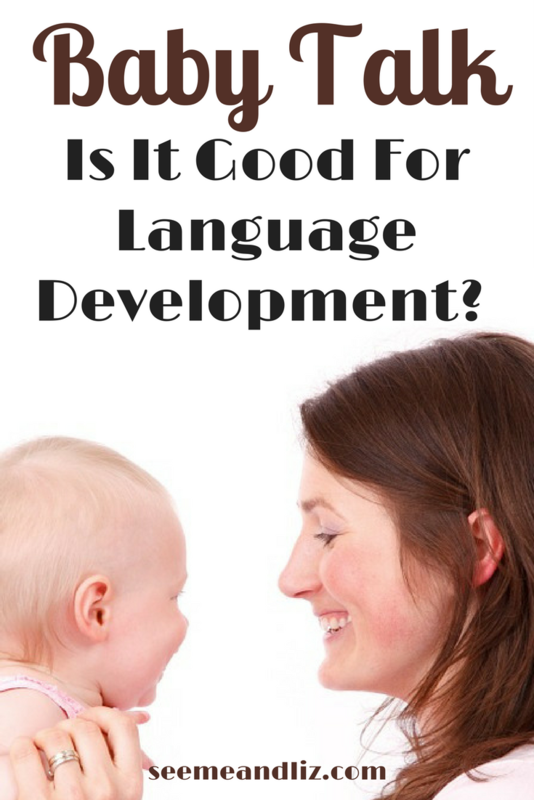 Baby talk is fine and can be beneficial to learning a language. imitate your baby’s sounds to encourage back and forth conversation when your baby is under 6-9 months, but make sure you are also using real sentences with grammar and real words. Remember to play and have fun with your baby! There are so many great things for her to learn. Let me know what your thoughts are in the comments below! Will you or did you use baby talk? No one should use telegraphic speech when talking to a baby as they will copy just that. 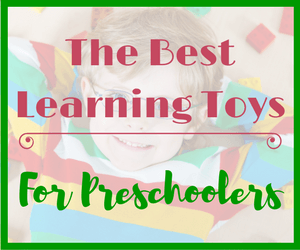 I have learned so much from here especially the point of repeating words to kids as they turn to pick the words they hear more. Thanks Akwi! I believe most parents aren’t really aware of how much a young child, and even a baby, really understands. This tends to be why parents often use telegraphic speech or make up silly words. They assume this will make it easier for their child to understand. Enlightening to say the least. I have never heard of baby talk referred to in the term of motherese. I’m sure most people are with you Melissa! The term “motherese” isn’t used in everyday conversation. But most people are familiar with the term “baby talk”. Very informative and useful article. I remember that before my son was born, the baby talk used to annoy me. I kept saying that I will never ever talk like that to my child. But when I become a mummy, I started using the baby talk in some situations almost unconsciously and suddenly, I didn’t find it annoying anymore :-). But baby talk is reserved only for tender moments when I hug and kiss him or before sleep. I don’t use baby talk in other situations. The use of the 3rd person is another story, you are absolutely right about it, but I still often say mummy instead of I, and don’t really know why I do that. It sounds like you are on the right track with the baby talk. I don’t want people to think baby talk itself is negative. The use of inflection and sign song is great for babies from a language development perspective. So is cooing and making funny noises when “talking” to your baby. But as the baby gets older, some of these things are no longer appropriate. By 1 year old, you should be talking to your child in more of an adult way. I too caught myself many times referring to myself as “mommy”. But I would also realize how silly I sounded and quickly put a stop to it. Like I said in the article, this really only becomes an issue when the parent/caregiver is using made up words and improper grammar as their child gets older. I was never really a “baby talker.” It always annoyed me to hear moms saying made up words. There is one mother in particular who has 3 kids all over the age of 5 that still baby talks. That being said, I have been guilty of using 3rd person a lot when talking to my toddler. I guess I never really thought about it but you are right in the need to set the example for good grammar. The intonation that is used in baby talk is very good for a baby (that sing song voice with a lot of pitch variation). It’s the other parts of the baby talk that I am not a fan of and that do nothing to help a child. Like the made up words and improper use of grammar, especially when your child is no longer a baby. Don’t feel guilty of using the 3rd person, you won’t harm your child. But start trying to pay more attention to how you speak to your toddler. See how many times you catch yourself saying things like “give it to mommy”. Once you are aware you will be able to start using “me” or “I” more often. Thanks for your comment. Although I don`t think that the reason kids are late to talk can be attributed to the parents using baby talk. If used excessively, baby talk can influence a child`s use of grammar, or lack thereof, but it shouldn`t effect their overall ability to speak. Since your son is only 3, it is perfectly normal for him not to pronounce every word the way an adult one. Please try not to correct him too much as this can lead to frustration on his end. Rather, model what you want him to say. So if he said “look there`s the bacuum“, you could say “you are right, that is a vacuum“ putting extra emphasis on the word “vacuum“. But don`t as that he repeats it. Also replacing a “b“ for a “v“ is still quite normal for a 3 year old. As long as most people are understanding about 75% of what he says, don`t be worried. He will learn all of these sounds. Fantastic article, I have to say I agree with everything you have written. I have two children aged 7 months and 2.5 years and I am forever being told how well my toddler speaks and understands other people. He can hold a conversation quite well and knows how to communicate what he wants. I believe this is because from the beginning we limited our baby talk, and had conversations with him like he could understand us. Thank you very much for an interesting, and great read. Its nice to find an article that supports my own way of thinking and parenting. Thank you Kimberly. Glad to hear that you enjoyed the article. Sounds like you are doing a great job parenting your little ones! I really enjoyed your post on motherese or baby talk. I have to admit that Itoo did this when my daughter was an infant. I also agree with you that it’s not something that should be done for babies over the age of one year. Have you heard of baby sign language? It’s something we did with our baby and paired with regular language. We found our daughter could sign to communicate way before she could speak! It’s another great way to communicate with baby! Thanks for your comment. I am glad you enjoyed the article about motherese. 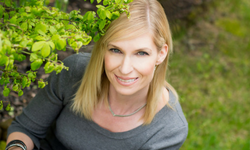 I am actually a baby sign language instructor and have written a few articles on the subject. Feel free to read them and let me know what you think. 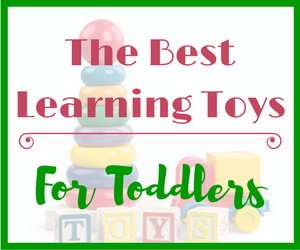 Here are the links: Baby Sign Language Basics – What you need to know! Baby Signsï¿½ Complete Starter Kit – Your Baby Sign Language Adventure Begins! When I read the title, I was wondering where this post was going to go… having read the full article, I have to agree with you that it depends on the age of the child. Yes, it really does depend on the age of the child. However there are many parents and caregivers who do not stop the baby talk despite the child being older. I think many parents get into a habit of using motherese that they don’t even realize they are doing it. While there probably aren’t any negative long term effects to speaking this way, it does sound a bit silly to other adults who may be around. And it can temporarily hinder a child’s development of proper grammar. Once my oldest boy started talking well enough with us, I completely stopped simplifying how we talk to him so that what he learns is correct. Now with my toddler who’s not truly talking yet, but clearly understands what we ask and say to him, I’m moving away from the baby talk so that he will start using the correct words. But I catch myself talking in third person sometimes still. 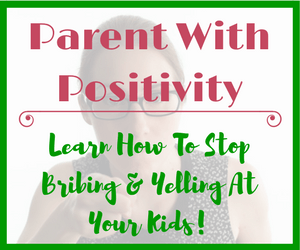 You are on the right track with how you are communicating with your children. My intent isn’t to have parents completely stop the baby talk, but just minimize it, especially as the child gets older. I think refraining from speaking in the 3rd person is the hardest thing for parents (and some teachers) to do. This just happens to be a pet peeve of mine because it sounds so silly. I have three children now in puberty, but I can still remember how it was communicating with them. Of course, right after birth, the intonation of the voice as well as the simplification of the language comes normal. But I realized using my intuition, that my kids understood much more than one would think nomrally. My son for example, didn’t speak until he turned 2. But he understood everything. So I would support you, together with a famous Swiss pediatritian, Remo Largo, to use normal language, don’t oversimplify it and follow your feeling regarding intonation. Your intuition is right one. Children do understand more than most adults give them credit for. There have actually been studies that show simplifying language too much, even when the child has a speech delay, is not always beneficial. They key is to always use real words and correct grammar. You can still, and often should, use simple sentences, just make sure the grammar is correct. 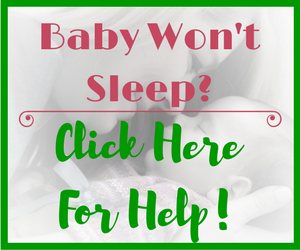 The changes in pitch and intonation that comes with motherese or baby talk is very good for a baby to hear and this should not be stopped. Also, imitating your babies gibberish helps them learn the give and take of communication. But, this is not the way to talk to a 2 or 3 year old. I also have often heard parents incorrectly pronouncing a word because they think how their child says it is cute (e.g “wabbit” for “rabbit”). While it might sound cute coming from a 2 year old, its not so cute when an adult says it. And it does not help the child learn the correct pronunciation. It definetly won’t be cute when that child is still saying “wabbit” at 8 or 9 years of age! I have a ten month old son and I have to say that this article really surprised me – I had no idea this type of baby talk could be thought of as negative ( fact is I do it all the time – even in public! ). A really interesting read that I will be sure to share with my partner – she will be really surprised! Your son is still a baby, so using this kind of language at his age is perfectly fine and even beneficial. However, using it once your son is a toddler is when I think it should be stopped. Children, especially babies (0-12 months) respond well to changes in pitch and intonation and some simplification of the language. My issue is when people are still speaking this way to their 2+ year olds. You should be able to say “give me the cup” to a 2 year old and not “tata to mommy”. Your goal is to have your child speak the language properly, so why not give them the tools as early as possible! I just landed on your site. Thanks for sharing this great article on Motherese and Babytalk. I have never heard of the term motherese, but when you explained it I definitely know what it is. I personally do not have children yet, but when I do, I will definitely use the tips you have provided. Thank you for taking a look at my site. Don’t worry, you are not the only one who hasn’t heard of motherese. Many parent’s aren’t familiar with the term. Baby talk seems to be a bit more common. But it doesn’t matter which term you use, they all mean the same thing. When you are using baby talk to speak with your child you are basically changing the tone of your voice and simplifying words and grammar. However, remember that you want your child to speak properly, the way an adult would speak. So it won’t help them to keep simplifying the language, especially as they get older. I tend to agree with what you are saying. Baby talk is a good thing for development when the baby is a baby as your age guidelines say, but when it goes on beyond, I think it does more harm than good. Interesting post, and by the way, as a parent I did not use much baby talk with my kids. I think that most parent’s don’t actually realize that they are speaking this way to their children. But when you stop and think about it, you would never speak like this to a friend. You are right, I have heard many people speaking to their pets like this. This could be because many people view their pets as their children. We need to give children more credit. They are very bright and take everything in like little sponges! So if they are constantly hearing baby talk such as “give plate to mommy” it shouldn’t come as a surprise when you hear a child saying “that’s Suzy’s” for example, instead of “that’s mine”.